Will the Pain Ever Go Away? 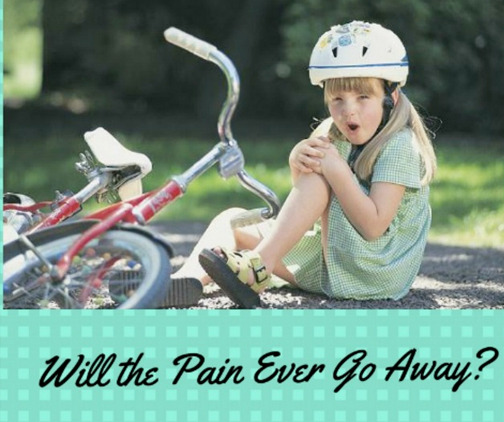 Recently I was asked by a new motherless daughter, “Will the pain ever go away?” That is such a very hard question to answer. It all just depends on so many factors. Each woman’s loss is unique. This woman was raised in a single parent home with no siblings. She has not only lost her mother, but the only parent who was present in her life. No brothers or sisters to burden the heavy load or to walk the grief journey with her. There is “no one size fits all” package for grief. We were told at one time that there were stages of grief: denial, anger, bargaining, depression, and acceptance. In fact, Elizabeth Kubler-Ross first talked about this in the 70s. It seemed that you would go through each stage, move to the next, then there was finally an end. Kind of like getting through high school. Each phase had a name to it and there was a graduation at the end! Walla! Finished! You get the certificate to prove that you made it! Nope! It just doesn’t happen that way. I want to share with you a story and then relate it to losing a mother. Today I look down at my left knee and there is a moon-shaped scar that resides just above my knee cap. When I look at it, immediately I am transformed back to a child of 10 flying head-first over the handles of my bicycle. I slid down an asphalt road. I was tattooed, bleeding, and bloody with a large gaping hole above my left knee. I can still remember how much I hurt and the tears, oh the tears, felt like they would never end. Today, I still have that scar. When I look at it I can remember everything but the pain is not there. Only the memory. This is much like mother loss. It is a scar. It will never go away. Your life is different. It will always be different. BUT you will heal. You will learn to trust and love and learn. The big thing is not to run from your grief but work through it. Things to help you heal — getting help, attending a class, developing a support system, journaling, and helping others. Yes, I said helping others. It is through helping others that you also heal. When we get outside of our own pain, it helps us to heal. Be kind to yourself. Give yourself grace and space to heal. That is the best way. That is how the Motherless Daughters Ministry began. I needed to help myself and it is through helping others that I have healed. The scar is still there. It will always be there.